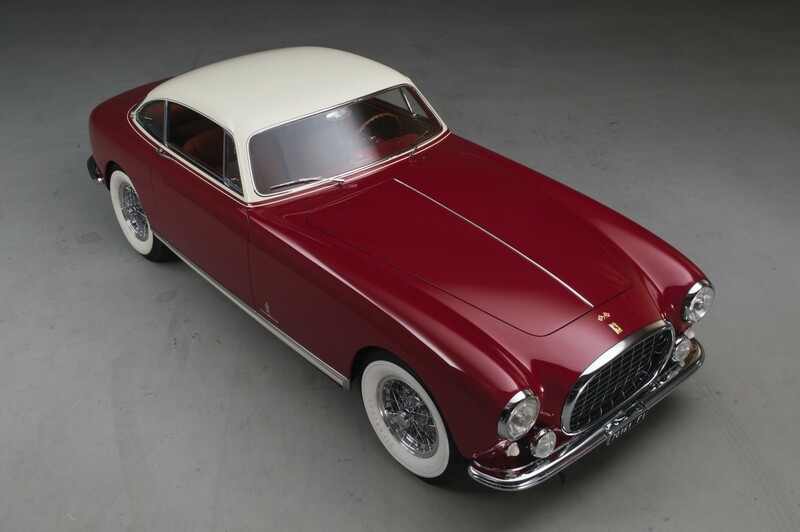 The Ferrari 250 Europa is widely considered to be one of the most important early Ferraris, it’s also viewed by many as one of the most important designs from Pinin Farina – a design that helped establish Carrozzeria Pinin Farina as the borderline-defacto Ferrari designer. From a performance perspective, there wasn’t much on the road that could keep up with the 250 Europa, it was fitted with a 200bhp, 2963cc, 60 degree, SOHC V12 engine, a 4-speed synchromesh manual gearbox, independent front suspension with double wishbones and double leaf springs, a live rear axle with semi-elliptic springs, and hydraulic drum brakes all around. The production numbers were exceedingly limited, only 16 250 Europas were built by Pinin Farina but their owners were amongst the most influential people in the world. Charlie Chaplin owned one, as did Princess de Réthy of Belgium, and Prince Bernhard of Holland, Enzo Ferrari himself took delivery of a Europa and most of the rest of the deliveries were sent to exceedingly wealthy clients in the United States. It’s difficult to know exactly how much the Europa you see here is likely to sell for when it’s auctioned on the 15th of August this year, vintage cars (Ferraris in particular) have been reaching never before seen prices in recent years and vehicles as rare as this only come up for auction relatively infrequently.